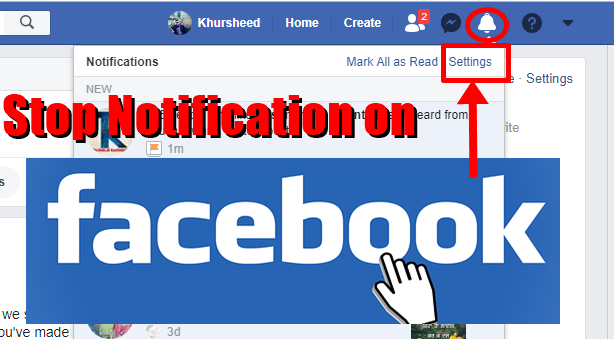 How to Stop Notification on Facebook: Today, we are going to tell you How to stop Notification on Facebook, whenever we post a comment on a post, its Notification comes from Facebook, although this Notification comes to keep you updated from Post. But sometimes you get annoyed because they cause our mobile phone to ring again and again. Apart from this, there are several other reasons why you need to turn off these notifications. 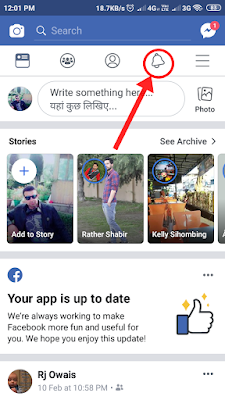 Although there are many people who want them to get Notification from Facebook many people who get annoyed with them and try to shut them down but cannot stop in the absence of information, here we will give you The easiest way to tell is to go. Well, for your information, let us know that Facebook is the world's largest social network, on which millions of people are active every day. There are many people who want to know when and who has created this site and then tell those people that this site has been created by Mark Zuckerberg of America. This site was launched in the year 2004. This site became quite popular after a few years of launch because it was the only social site connecting people worldwide. Today, it has become a million users. This feature makes this site the most different because it is very easy to make someone friend and talk to him. Due to some such features, the Facebook Crores logo remains the first choice. 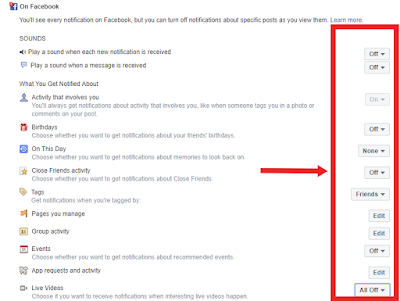 Today, we are going to tell you a trick through which you can easily get rid of the notification coming from Facebook. 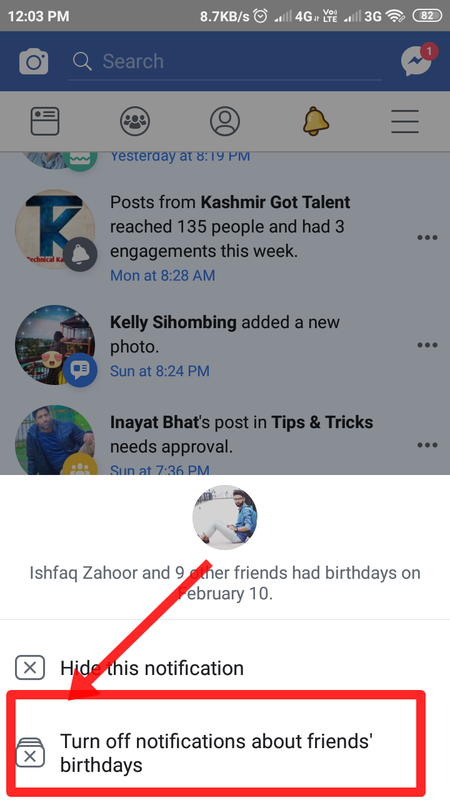 If you use Facebook Regular, you will know that there are notifications coming from someone's birthday, getting a live video, posting or commenting on a post. Even though they keep you updated, but due to frequent visits you are also troubled by them. Here we are going to tell you a very easy way, after knowing that you can stop the notification of Facebook in your mobile or laptop. So, first of all, you are going to tell the way to computers or laptops. If you run Facebook on your computer or laptop, then you can follow its steps. After this, you will know the steps of the mobile. 1. 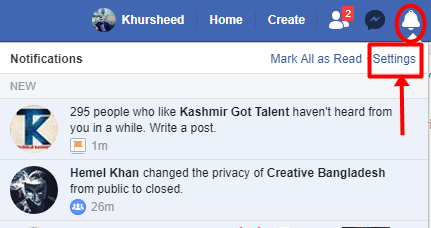 First of all, open your Facebook account on your computer or laptop. 2. Now go to the option of Notification at the top of the right side, you will find it next to the message icon. 3. 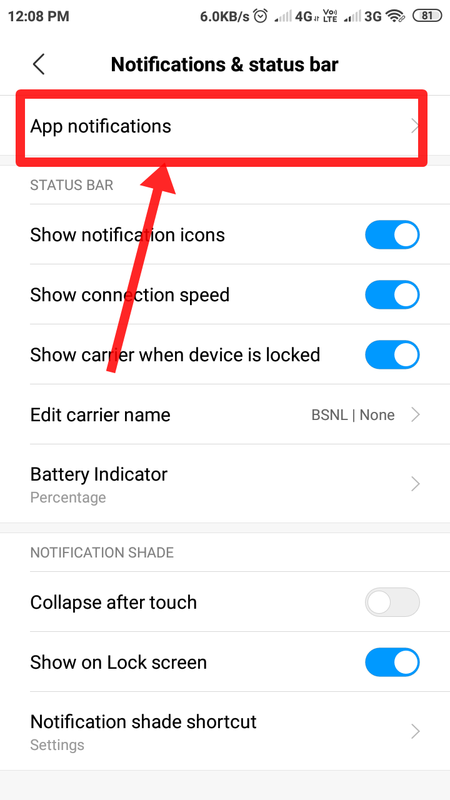 Clicking on Notification will show you the Mark All As Read and Setting option. You have to click Setting. 4. 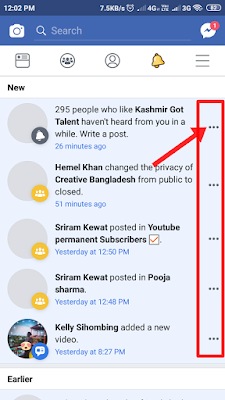 Now a new page will open which will show you the complete details of the closure of Notification. Turn off any type of notification you want to stop here. 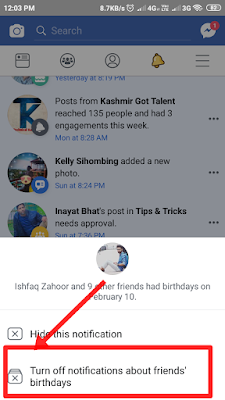 You can stop almost all kinds of notifications here if there is a friend's activity, a birthday or a tag. 1. First of all, open your Facebook app if you are not logged in, then log in with your account first. 2. In the homepage, you will see a lot of options, you will need to click on the Notification icon as shown in the image. 3. 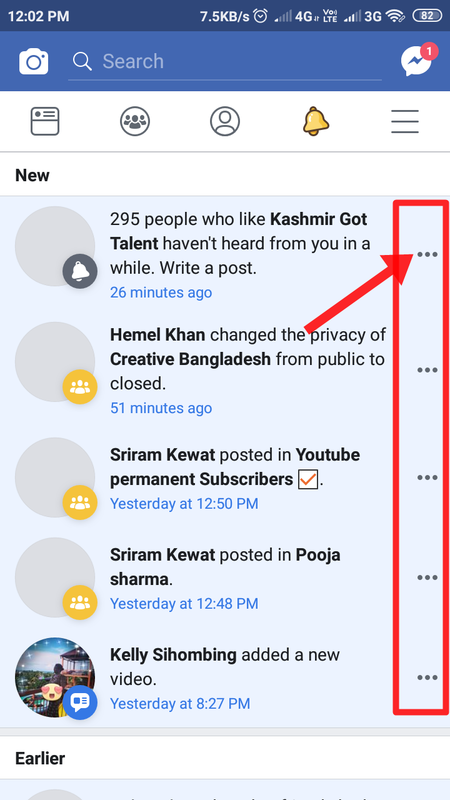 After this, if you want to turn off notifications coming from the post, for that you have to click on the three-dot icons appearing next to Notification. 4. Here you will see two options, you have to click on the Turndown Notifications About This Post at the bottom. Coming from the post, all the notifications will stop. Similarly, you can stop notifications like comments and others. 1. 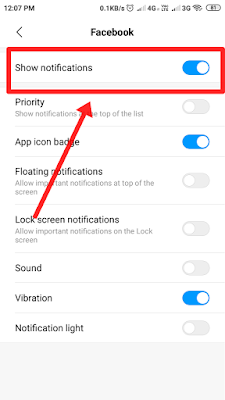 If you want to stop almost all kinds of notifications from Facebook with just one click, you have to go to the Mobile Notification Setting. After clicking on it, a new page will open which tells you which API you are receiving. 2. You have to scroll down the page ie here you will see the option of Facebook, you have to turn it off. 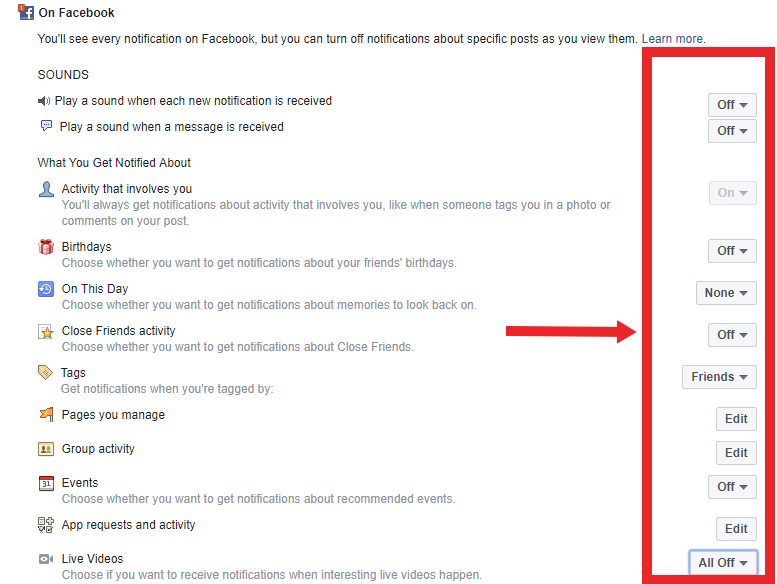 In this way, you can turn off all notifications of Facebook with just one click. This is the easiest way to turn off Notification. You do not even need to open Facebook for this, so you can also turn off Notification of other apps in the smartphone in addition to Facebook. If you want the notification to come back again, you have to turn on the button in front of the app. This will start getting your notifications again. So you've come to know now How to turn off Notification on Facebook, you have been told a simple way of both computer and mobile. This would have made you much easier to understand. By the way, the bottom line is the easiest, in which you do not have to open the setting of Facebook. You can turn notifications from any app other than Facebook just off Facebook's settings. 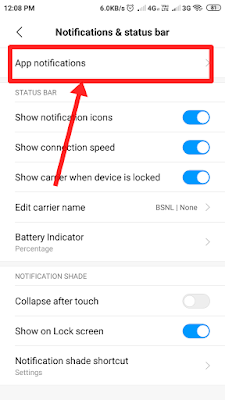 At the same time, you can follow this step and also turn on Notification from again.